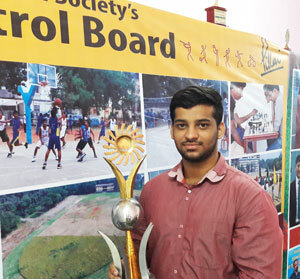 It is a proud moment for Pillai HOC Polytechnic and the entire Pillai HOC Educational Campus that one of its students Anuj Dattaguru Sarnaik (3rd Year Diploma – Mechanical) represented India in 5th Asian Beach Games – 2016 scheduled to be held at DA-NAG, VIETNAM which was scheduled from 5th September, 2016. A popular Malaysian Martial Arts form called “PENCAK SILAT” which is going to be an event in the coming Asian games and probably an event in the 2024 Olympics gives this selection as a milestone to him. Anuj a rural boy from Pali (Raigad) become the National Champion in 2015 will under undergo the National Camp at Raipur before his departure to Vietnam. “ALL THE BEST ANUJ” WE ARE PROUD OF YOU”. The Pillai HOCL Educational Campus Sports Meet 2012-13 was conducted at Pillai HOC Sports Stadium, Rasayani. During these Sports Meet, Eight Sports events namely Volleyball, Basketball, Football, Handball, Chess, Carom and Athletic were conducted and a total of 13 teams including one from the Faculty and Staff from various colleges of the campus participated. A total of 94 matches in various category of sports were played. Dr. Lata Menon, Dy. CEO, Mahatma Education Society Rasayani Campus kindly consented to be the Chief Guest for both opening and closing ceremony and gave away the prizes to the winners.